WHAT GOES ON IN A SCIENTOLOGY CHURCH? Scientology Churches are vibrant centers of activity. Each Church of Scientology provides numerous religious services and materials through which individuals may pursue their studies of Scientology. The following offers a glimpse inside a Church of Scientology. In the public information area, a series of multimedia presentations provide answers to fundamental questions about Scientology, the Church’s community activities and social betterment programs. Visitors are welcome to explore at their own pace and learn for themselves about Dianetics, Scientology and the Church’s outreach activities. Among the introductory services offered in every Scientology Church is free testing. With the results an individual can learn about themselves and areas in which they could improve. While in answer, the Church provides an array of introductory courses to assist individuals to improve their lives and better conditions. Auditing, from the Latin audire meaning “to hear or listen”, is the name given to a range of Scientology procedures intended to help people become aware of their spiritual nature and more able in life. Auditing can be ministered to a group (such as at a Scientology Sunday service) or to an individual on a one-to-one basis. A person can also minister certain auditing to himself. All Scientology churches have rooms designated for auditing. 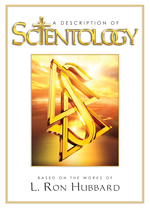 L Ron Hubbard’s written and spoken words comprise the scripture of the Scientology religion. Through Scientology training one learns to apply Scientology teachings to help others. It is a doctrine of the religion that 50 percent of the spiritual advancement to be had in Scientology comes from the study and application of the scripture. Scientologists study L Ron Hubbard’s books, lectures, films and other written materials in rooms especially set up for this study. Scientologists at all levels learn Scientology principles by progressing step by step, at their own rate, through a checksheet. The checksheet provides a sequential guide to learning a subject. Checksheets contain reading assignments, drills and practical applications to ensure students not only know the theory but can apply the material. Studying the works of L Ron Hubbard and training to minister to others is not only a regular part of life for Scientologists, it is a vital component to their spiritual progress. 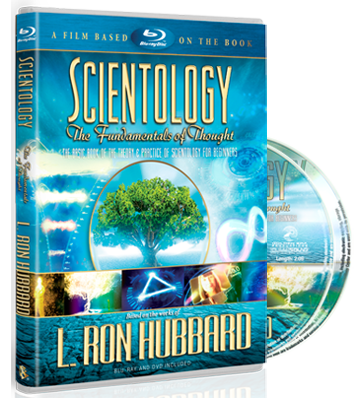 In addition to L. Ron Hubbard’s writings and lectures, his technical training films also comprise an important part of the scripture of the Scientology religion and are studied by Scientologists as part of their spiritual progress. L. Ron Hubbard scripted 84 films on various aspects of the Scientology religion, from introductory to advanced. Several of his lectures were also filmed and these, too, are available for viewing in Churches. Within all Scientology Churches is a Chapel for religious services and ceremonies. Every Sunday, the Chaplain conducts religious services that are open to everyone. For someone new to Scientology, this is an opportunity to gain an introduction to the religion and take a first step toward improving spiritual awareness. For a Scientologist, it provides the chance to gain new insights and reaffirm Scientology religious principles in communal worship. Similar to those in any religion, Scientology also has wedding, naming and funeral ceremonies. All include a distinctly Scientological awareness and affirmation of individuals as spiritual beings. Friday night graduations are another Scientology tradition—a time when Church staff and parishioners assemble to acknowledge those who have completed auditing or training steps in the previous week. At other times, one might enter the Chapel and find a group listening to a recorded lecture by L. Ron Hubbard, a congregational meeting, an open house for parishioners and members of the local community or an interfaith service or meeting. In short, the Chapel serves as a communal gathering place for a variety of functions. Every Church of Scientology is a central point from which the Church’s many community and social betterment activities are coordinated. The Church and its members are committed to helping others and so provide assistance through a wide range of activities. These programs include anti-drug campaigns and human rights education initiatives, as well as social betterment programs utilizing L. Ron Hubbard’s technologies for drug rehabilitation, literacy, criminal reform and morality. Through the Scientology Volunteer Minister program, parishioners offer relief in times of disaster. Churches also serve as central meeting places for parishioners and like-minded community groups with whom Scientologists partner. What is the Scientology position regarding women ministers? What is the Oxford Capacity Analysis, also known as the Personality Test? What are Scientology congregational services and religious ceremonies? What are Scientology Sunday services? What is the Scientology wedding ceremony? What is the Scientology funeral service? What are Scientology weekly graduations? What religious holidays do Scientologists celebrate?